A few years ago I wrote a piece for The Rap Sheet on Theodora Keogh’s novel The Other Girl (1962) for their Book You Have to Read series, otherwise known as Forgotten Books. I only discovered Theodora Keogh and her writing after reading her obituary in the Telegraph. She had a remarkable life and career but in her later years her work had fallen into obscurity. The Other Girl is a disturbing, sometimes thrilling novel loosely based on the Black Dahlia murder case. I would recommend it to anyone who enjoys a good read, but especially to people interested in the Black Dahlia as it is an important and overlooked cultural depiction of the case. 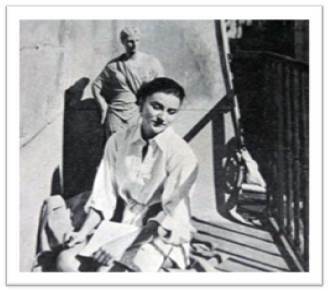 I’ve just learned from a fellow Theodora Keogh fan that Pharos editions, a Seattle based press, has just reissued Keogh’s novels The Tattooed Heart (1953) and My Name is Rose (1956) in a single volume featuring an introduction by Lidia Yuknavitch. Apparently, this is the first time these novels have been reissued since the 1970s, although Olympia Press did reissue Keogh’s other novels between 2002 and 2007. I very much look forward to reading this volume, and I hope it leads to a wider revival of interest in Keogh’s work.